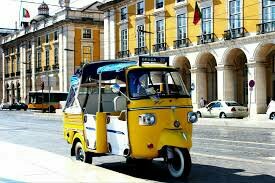 Welcome to the historic beautiful European city of Portugal. Flying in from the Atlantic and gazing upon the deep blue next to the smorgasbord of colours coming from the city its self can make anyone feel like this is a place of belonging. As someone who has lived in this city, I can say first hand that even as a resident it does not dissapoint. Star points: Next to the city lies the magnificent river tejo, a deep blue that stretches across to Barreiro and other towns and cities. A 20 minute boat journey for the cost of no more than 4 euros for a visitor is all it takes. 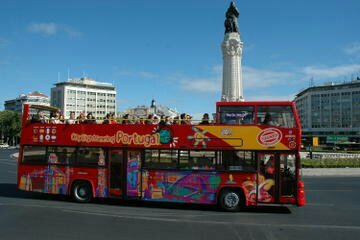 Tourist boats cover the waters, all shapes and sizes as they are captivated by the view of Lisbon as the stunning overview of the city stands proud, welcoming the boats to the docks. Or why not enjoy a ride accross one of the 2 of Lisbons servant bridges. 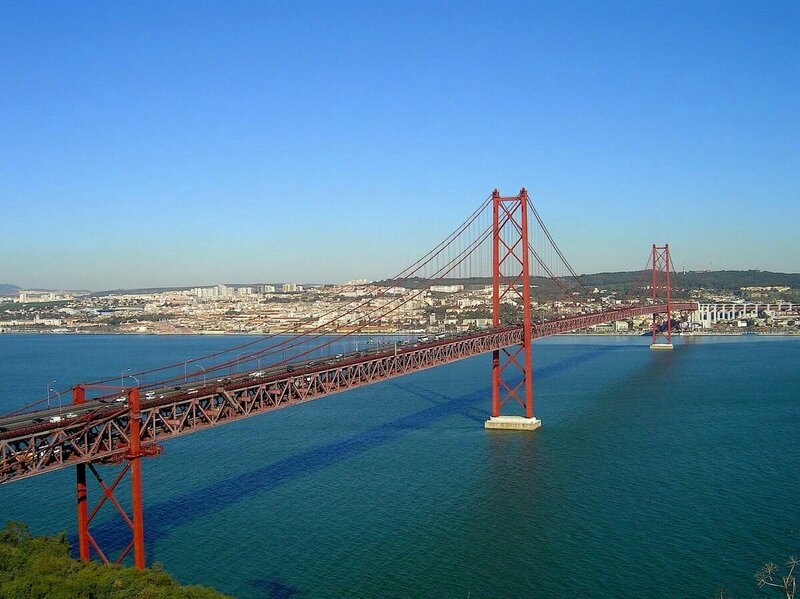 The first being ‘ponte 25 de Abril’. This bridge was constructed in 1966 and a train was added in 1999. The bridge is named after the carnation revolution on the 25th april 1974. (More information on wikepedia) picture below. 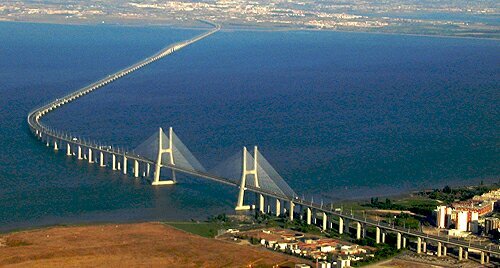 Or how about the 2nd bridge ‘Ponte vasco de Gama’. The length of this one is mind blowing, it stretches a whopping 7.1 miles making it the largest bridge in Europe. (More information on wikepedia) So if you want to ride accross 25 april, which without traffic will take about 5 mins, or take the other bridge which is a longer drive but gives more time to enjoy the views. Picture below. Or, if you prefer fast travel without traffic then the metro is recommended. This underground system covers all of Lisbon through 4 lines. Red, blue, yellow and green. For those who arrive at the airport, you will need to catch the red line into the city. Avoid early hours (07-10) and late afternoon (16-19) these hours are city rush hour and metros are packed with people. There’s not much to see under the ground though so I wouldn’t reccomend this journey every day of your visit. 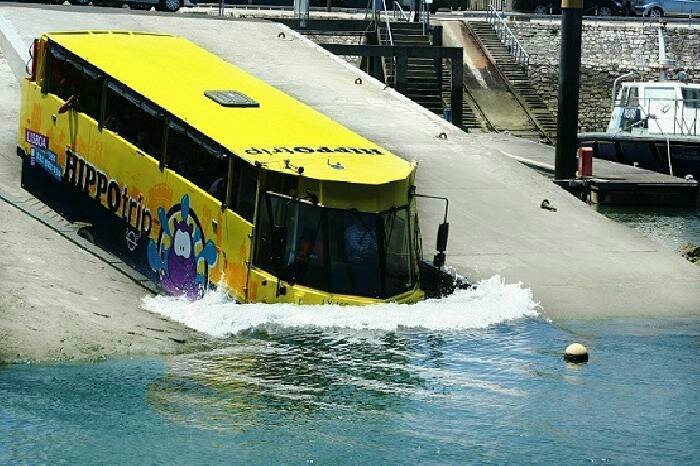 Last but not least the hippo bus! 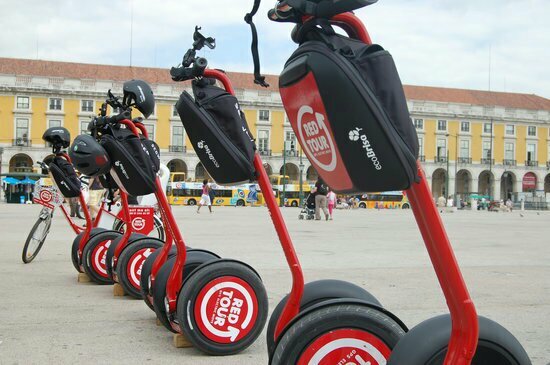 So here is the first part of discovering Lisbon. Part 2 coming soon… sites to see!